If you want to indulge your inner ballerina, but don't have the budget for Miu Miu, no worries. I've found the perfect Look4Less for you, and they're on sale! 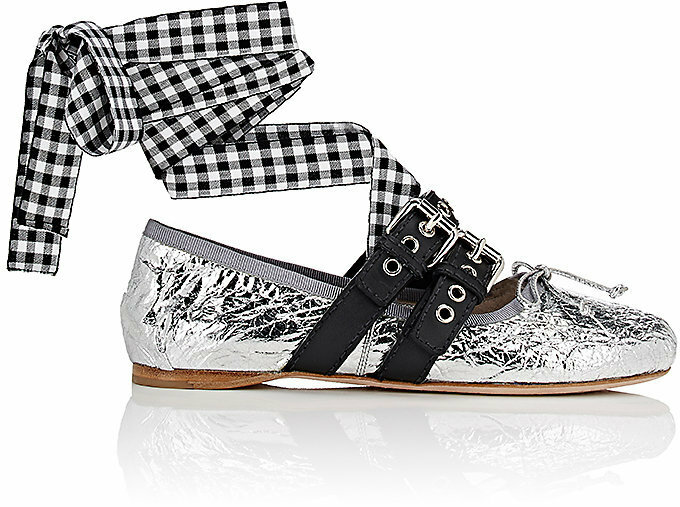 These River Island flats have undoubtedly taken major inspiration from the Miu Miu ballet flats.